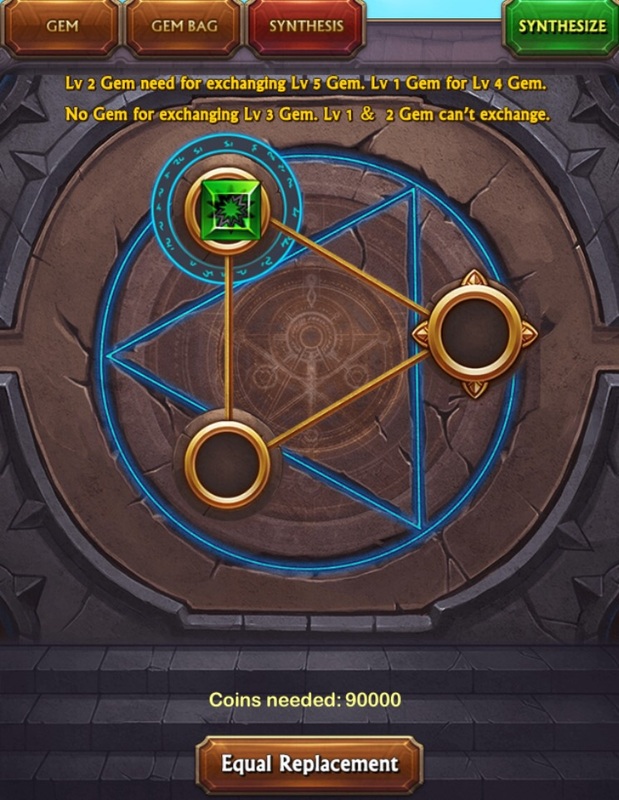 Players can unlock Gem slots according to their levels. There are 18 Slots, divided into red,green,blue and gold, the first 3 colors have 6 slots for each. Gold has 3 slots and is a special gem. 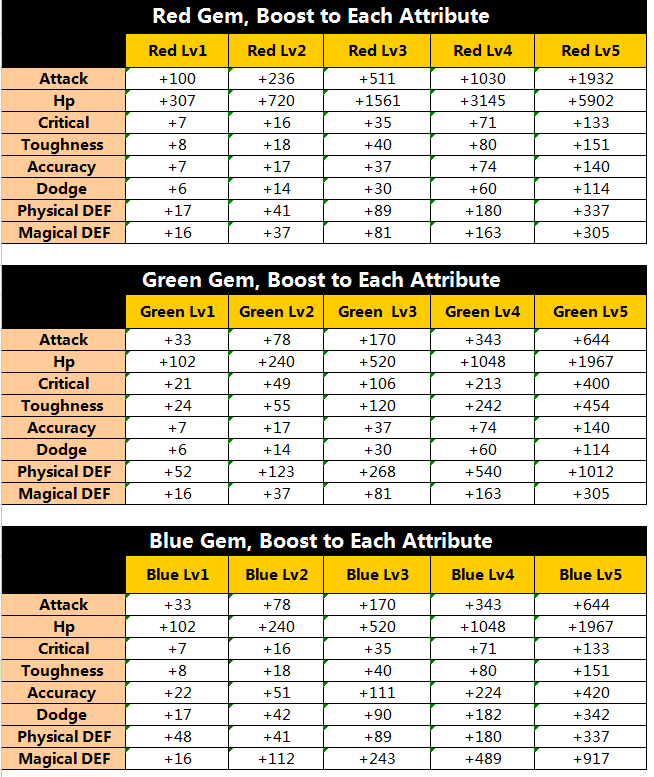 It features 8 attributes,has a separate boost to Hp,Attack, Physical defense, Magic Defense,Critical Damage, hit ratio, toughness and dodging. 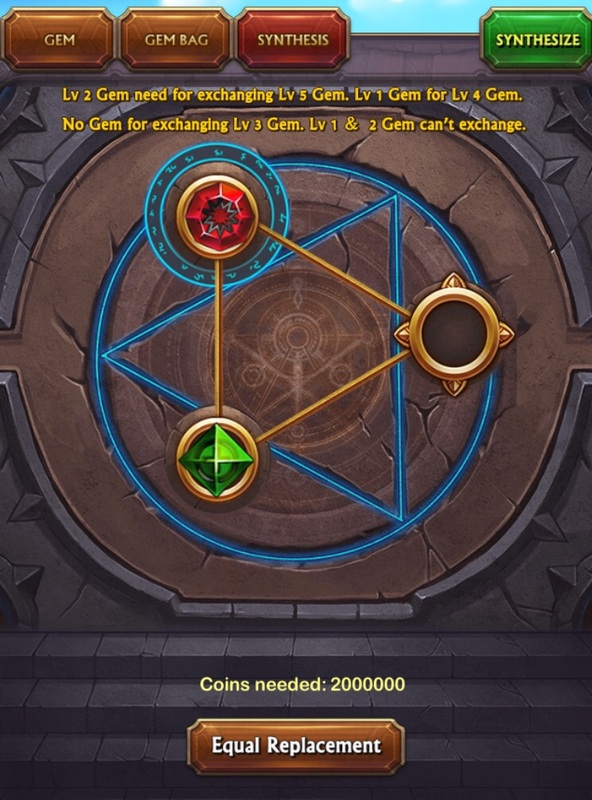 You can exchange GEM for Justice Badges in shop screen.Each Gem pieces requires 3 Justice Badges. And you get it in Arena. 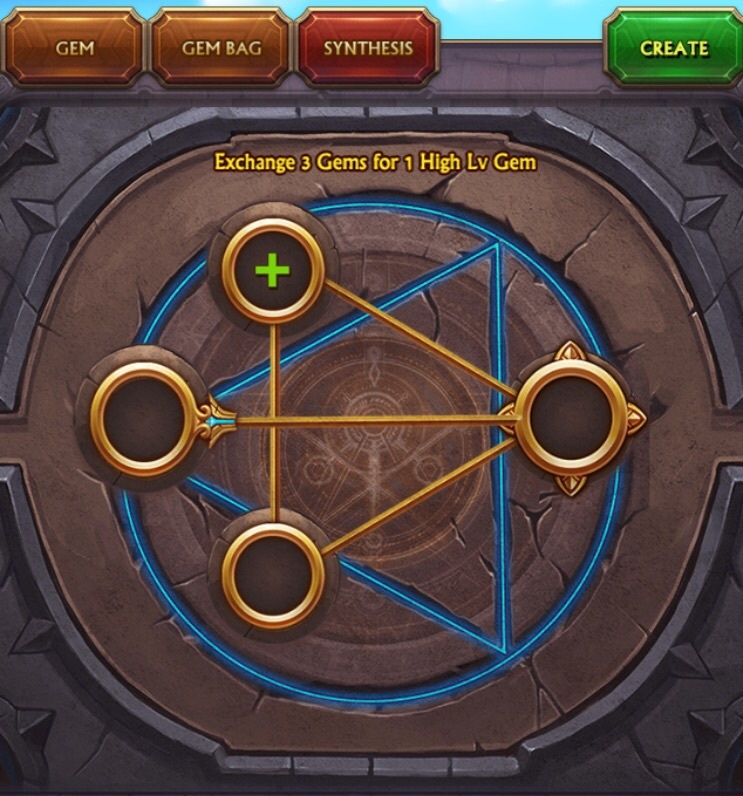 Each Gem requires 3 Gem pieces.Gem pieces can be randomly synthesized into a 1 red, green,or blue gem. 4. 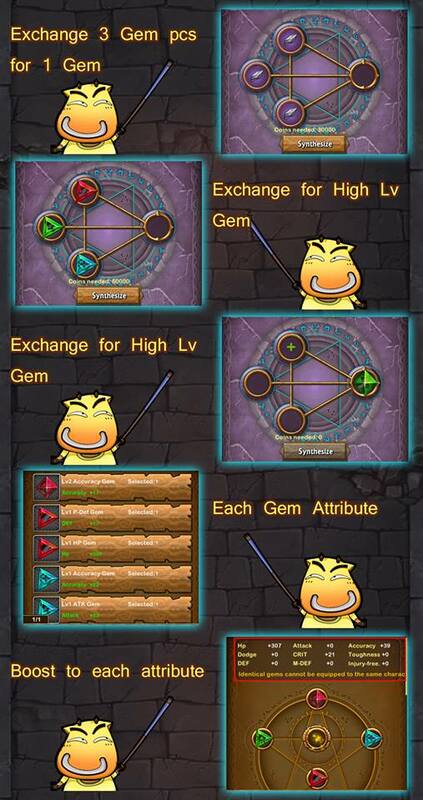 How to get higher GEM level? 5. 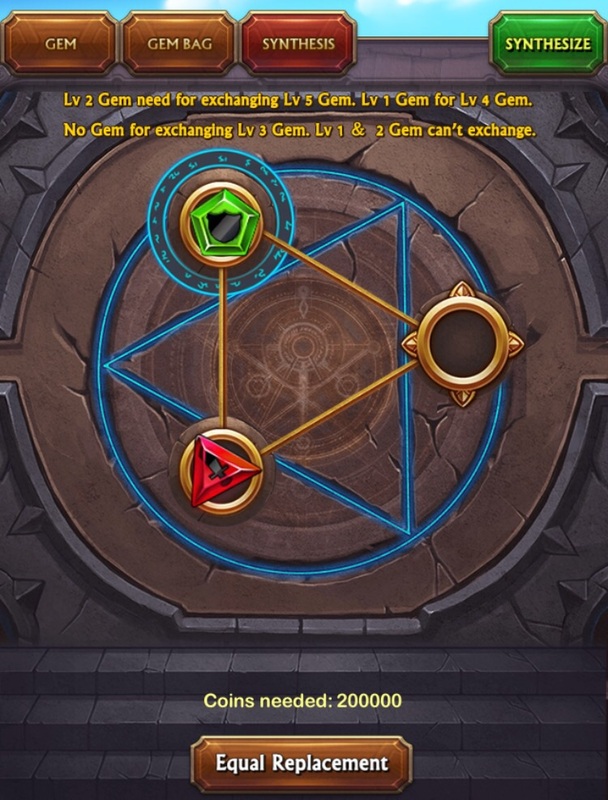 The GEM's work all day long for all teams and cards and arena. It is possible to transform a gem into an other gem. Click the create button.